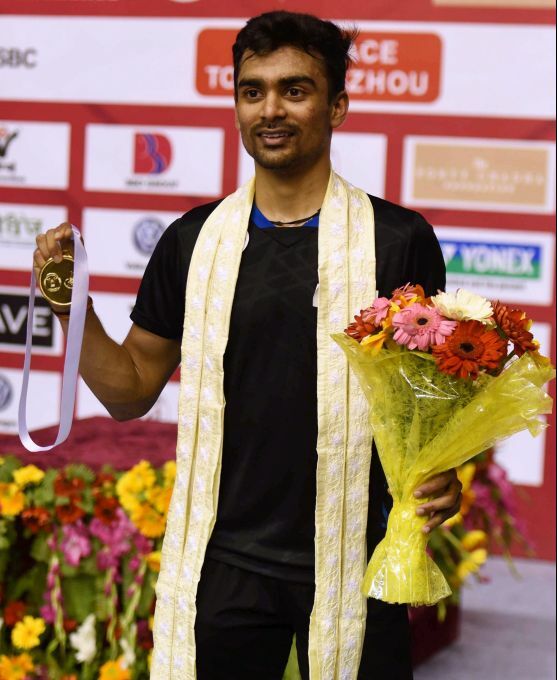 Lucknow: Badminton player Sameer Verma poses with his medal after he won men's singles final against Guangzu Lu, in the Syed Modi International Badminton Championships in Lucknow, Sunday, Nov 25, 2018. 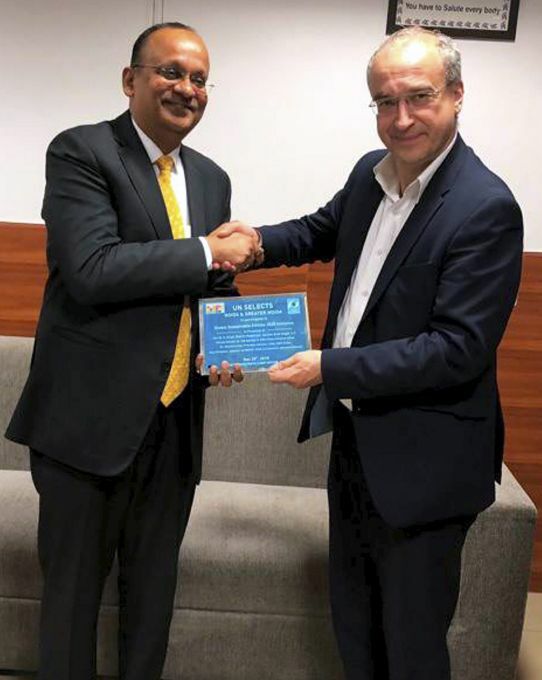 Noida: Senior UN Advisor & CEO UNGSII Roland Schatz (R) extends invitation to Noida DM B N Singh to become member of UN's Global Sustainable Cities 2025 initiative. in Noida Sunday, Nov 25, 2018. 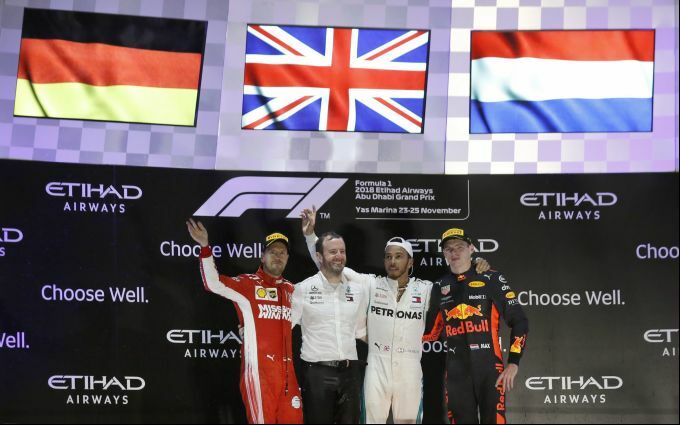 Abu Dhabi : Race winner Mercedes driver Lewis Hamilton of Britain, second right, celebrates on the podium with second placed Ferrari driver Sebastian Vettel of Germany, left, and third placed Red Bull driver Max Verstappen of the Netherlands, right, after the Emirates Formula One Grand Prix at the Yas Marina racetrack in Abu Dhabi, United Arab Emirates, Sunday, Nov. 25, 2018. 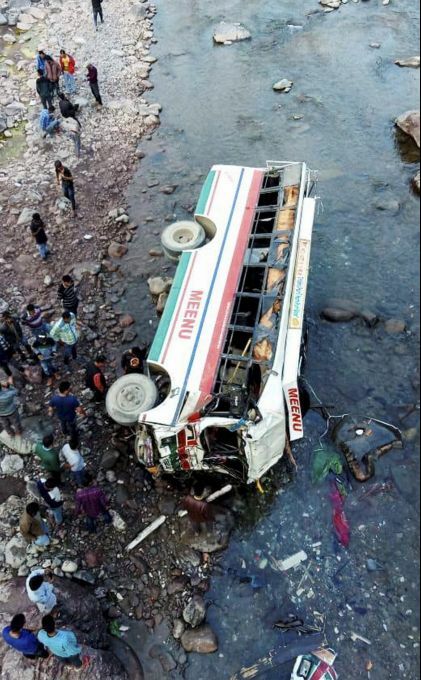 Sirmaur : A private bus fell into the Jalal river, 40-feet down, at least nine people were killed and 25 injured in this accident, near Dadahu in Himachal Pradesh’s Sirmaur district, Sunday, Nov 25,2018. 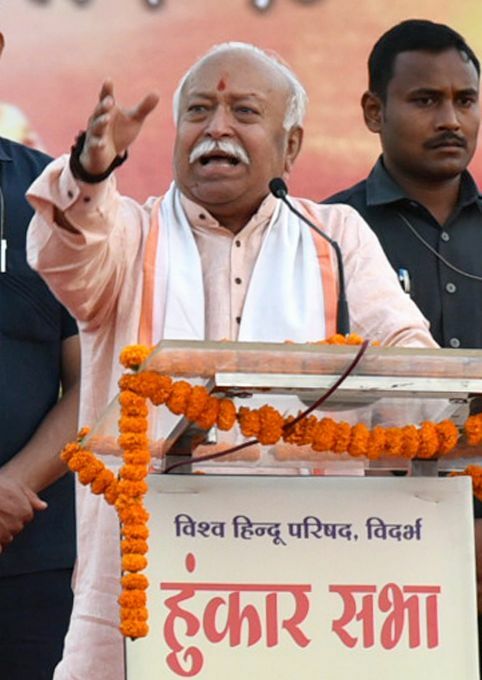 Nagpur: RSS Chief Mohan Bhagwat addresses during the "Hunkaar Sabha" organised by Vishwa Hindu Parishad (VHP) to mobilise support in favour of Ram Mandir at Ayodhya, in Nagpur, Maharashtra, Sunday, Nov 25, 2018. 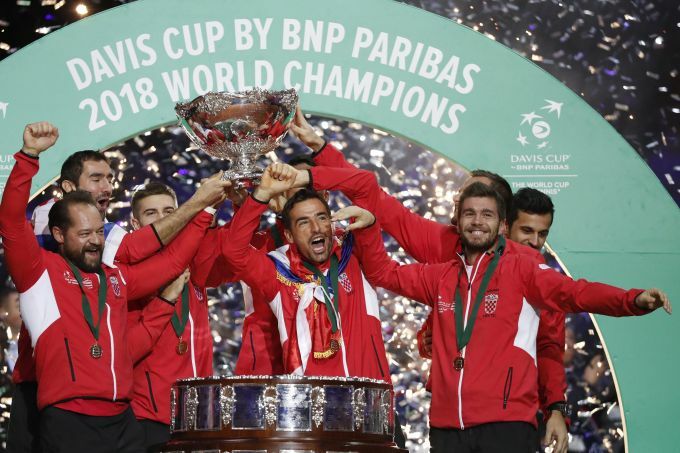 Lille : Croatia's team captain Zeljko Krajan, left, and players lift up the cup after the team won the Davis Cup final between France and Croatia Sunday, Nov. 25, 2018 in Lille, northern France. Croatia claimed a second title in the team event following its maiden win in 2005.